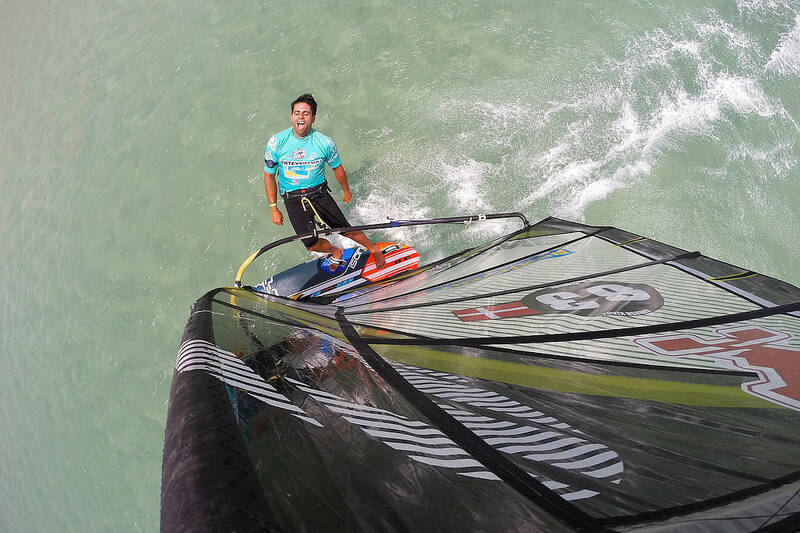 Kurosh Kiani (Starboard / Maui Ultra Fins) has been competing on the entire PWA Slalom World Tour since 2010, but made his debut back in 2007. The 35-year-old has previously been crowned the Danish Slalom Champion, while also winning numerous local contests. Kiani didn’t enjoy his best season in 2018, but has previously been ranked as high as 23rd in the world in 2015 - when he also recorded his first top 10 result on the world tour during the Sylt PWA World Cup having qualified for the Winners’ Final. We recently caught up with Kurosh, who is one of the most popular sailors on the tour and also developed the PWA live scoring system, for our latest 20 Questions feature. Not sure actually. But whenever I get on a windsurfer and get planing and blast along the water or do a jump, I feel very alive. It’s what keeps me going. There is nothing a good windsurfing session cant fix! People I vibe with. Sincere, adventurous and funny people. 3. What do you most like in yourself? I’m a very fast learner. 4. What do you dislike in yourself? I’m always a couple of minutes late to appointments. 5. What has been your best moment on tour? My best moments have always been when I’ve been able to put a good game together to challenge my opponents properly. 6. What has been your worst moment on tour? Costa Brava 2016. I sailed my way to the semi-finals and sailed the wrong semi-final heat. So I got disqualified and got a last place. 7. Knowing what you know now, what advice would you have given yourself when your career started? I would have trained differently, and put my focus on the things which would have mattered, but that’s very easy to say looking back after these years of racing. 8. What is the best advice you have ever been given? If in doubt, go big. 9. What would be your perfect day? If I were able to squeeze in surfing, gym, lots of windsurfing, chill-out, guitar playing and a few other things into the same day! 10.Do you have any superstitions? Sure, but they are too weird to mention. 11. Which living person do you most admire? Not going for what you want. My knowledge I guess… and my fin bag. I’d be cruising around the world doing online business with my laptop! In general, I’ve always enjoyed Cape Town lots, but Maui has always been a special place for me.